I started hooking my Barn Owl with Moon-take 2 rug at Fort Hunter Day in Harrisburg PA a week ago. Good progress has been made thanks to using wide #8.5 cut wool strips for the background. The design elements are being hooked in #8 cut. A border might be added, but I will wait to see how it looks when I finish what is drawn on the linen. 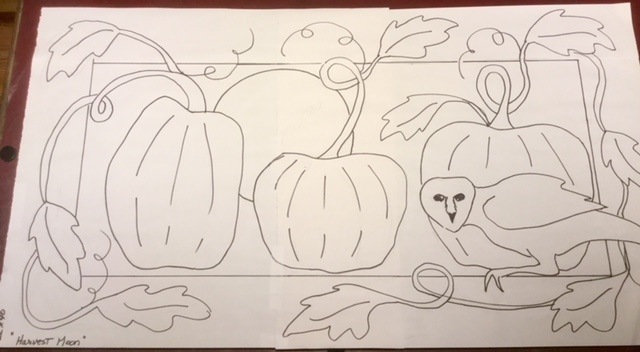 This past week, a friend asked me to design a pattern for her with pumpkins, a full moon, an owl, and vines and leaves - pretty much what I’m hooking now, but in a different size and no mice. I worked up a design for her, which I’ve titled, Harvest Moon. I’ll be hooking the same rug, too, so it’ll be fun to see how we each interpret it. Although the pattern is not yet listed on the Shop page of my website, it is available for purchase by contacting me through the Contact page. I don’t want to jinx anything, but the weather seems more autumnal recently. I am ready for cool days, pumpkins, fall leaves, apple cider, and earlier dark nights. Oh, and Halloween! 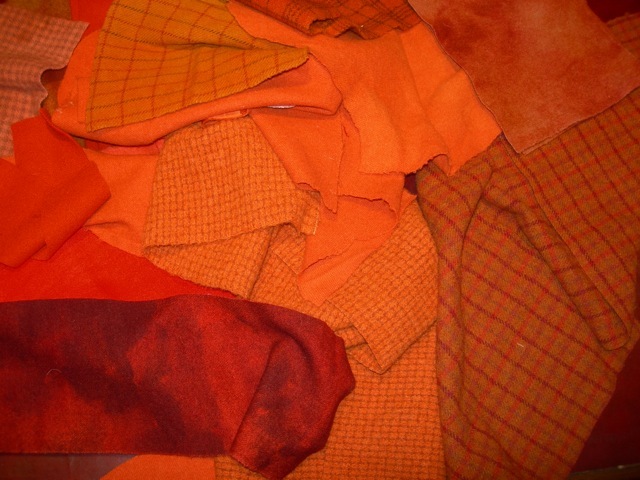 There’s a lot of beauty out there and in hooking fall rug patterns. 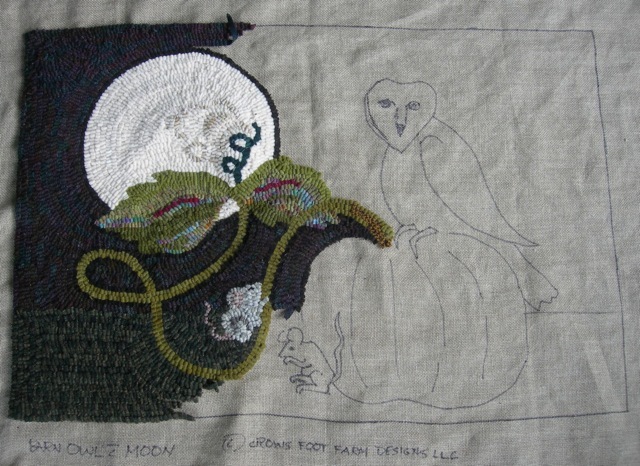 Barn Owl with Moon- take2 in progress.